Welcome to our buying guide to help you find the best pancake compressor for your budget. There are many benefits to using a pancake compressor that many homeowners overlook. These are wonderful little devices that aid you in being able to work wherever you want — effectively and conveniently. When was the last time you used manual hand tools when working on a project at home? If you were doing anything more than hammering in a few nails you would have noticed a couple of things. You would have been absolutely exhausted by the end of the day doing everything manually. The project would have taken you a lot longer too, which is bad enough when you’re carrying out one job. If you use tools at work it’s completely impractical doing everything by hand, so extra power is essential. You’ll be able to get it easily from now on using the best pancake compressor. PORTER-CABLE PCFP02003 : 2.0 SCFM delivered @ 90 PSI pump, 3.5 gallon tank and 135 max psi. …a good example of an affordable compressor pancake. These are fairly cheap products, which is a great thing for consumers. PSI stands for pounds per square inch, which is a unit of pressure. If your pancake compressor has a high PSI it will be able to deliver more pressure. Each tool you use will tell you how much it needs to operate and you can alter it manually on the compressor. The SCFM stands for standard cubic feet per minute and it’s got more to do with how fast your compressor is going to supply you with air. This is the most important number you should focus on otherwise you’ll need to keep waiting for your compressor to catch up when you’re working. A larger tank doesn’t necessarily mean your air compressor will be better, but when all other things are equal bigger is better. It will last a lot longer before it needs to fill up, so you’ll be able to get a lot of work done instead of waiting around. When your pancake compressor is filling up it’s going to make a lot of noise, so if it lasts longer it will be more annoying for everyone around you. Sometimes you’ll want to move the compressor where it won’t be plugged in and a larger tank capacity helps with that too. Water drain valve and rubber feet that won’t scratch or mar wood surfaces. We’ve just touched on the fact your tool will be loud, but the best pancake compressor isn’t going to rupture your eardrums. Even though it will never be almost silent when it’s charging up, it’s always a nice bonus when you don’t have to put up with loud noises. If it’s too loud it won’t only affect you, especially if you’re on a worksite with lots of other people. Don’t think you’ll be safe if you’re only using the air compressor at home. Maybe you’ll want to use it outside and your neighbors won’t appreciate sore ears. Please Note: Don’t pay too much attention to the decibel (dB) level when it comes to wearing ear defenders. Even if the noise level doesn’t seem like it will be an issue you should always still wear protection to safeguard your hearing. Have you ever laid your eyes on an industrial air compressor? Let’s just say you wouldn’t be able to pick one up and carry it around, but pancake compressors are a lot lighter even if they have a large tank capacity and we’ll look at the weights later on. You’ll want it to be light if you’re carrying it around with you, whether it’s on a worksite or at home. Some pancake air compressors will also have an ergonomic handle to help you out even more, plus the shape can sometimes make things a little easier on you. Heavy-duty portable air compressor with cast iron cylinders. Anyone with experience of gas-powered tools knows oil is messy business. First of all, you have to keep buying the oil if you want your tool to work. You’ve also got to check on the levels and top it up, which wastes a lot of time and is something you could do without. A lot of the best pancake compressors are now oil-free, so you won’t have to worry about it ever again. It does mean the compressor might not last as many years, but this is only a problem for professionals. If you’re using it for DIY projects at home it will be fine. You’ll need to learn about this if you’re going to buy a pancake air compressor because it’s extremely important. Under no circumstance can you leave any compressed air in the tank as it will cause moisture to condense, which will lead to a whole host of problems. The biggest one will be the inside of the tank corroding over time until you won’t be able to use your pancake compressor anymore. You want the tank to have a drain on the bottom. A ball valve drain works in the same way a faucet does and it’s the easiest kind to operate. Now you know how beneficial the best pancake compressor can be when using a huge number of tools. You just need to choose your favorite one because they’re all slightly different. We’re going to look at some great features in a few models on the market today to help you choose which one to buy. Please Note: We can’t talk about every single feature because you would soon get bored. Instead, we’ll try to focus on various features you’ll find on each pancake air compressor and if you spot one you like click on the link to find out more. Comes With A 13 Piece Accessory Kit – We have mentioned the fact your pancake compressor will be able to operate more than power tools. You’ll get an accessory kit with 13 different pieces to make this possible straight out of the box. The biggest feature is the blow gun with lots of components. You’ll get things like a tire chuck and gauge. It also comes with a 25 foot nylon hose, which should be long enough to let you use the compressor anywhere. A Long Run Time And Recovery Time – This air compressor has an impressive 150 max PSI, which will let you squeeze more air into the tank giving you longer run times. It also has a max of 3.5 SCFM for quick recharges. It will give you a steady 2.6 SCFM at 90 PSI, which is an ideal combination for lots of air power tools you’ll be using. It’s enough to give you the power you need quickly so you won’t have to slow down while working. A full 13 piece accessory kit for a variety of inflation and cleaning jobs. It Comes With A Large 6 Gallon Tank – The tank obviously has a very high storage capacity, but it’s not the only thing that makes it one of the best pancake compressors. There are a couple of extra features you’ll need too. First of all, you’ll have access to a water drain valve to guarantee your tank will last for a long time instead of corroding away. The tank also has rubber feet to give you a lot more stability when it’s in use. You’ll Hear 82 Decibels Of Noise – Although it’s not the best pancake compressor when it comes to the decibel level it could have been a lot worse. The rubber feet we’ve just mentioned help make it a bit quieter. If you’re wondering how loud it will be it’s slightly louder than an alarm clock. Luckily the long runtime means it won’t need to charge up a lot, but you’ll still need to protect your ears when you’re using the compressor. 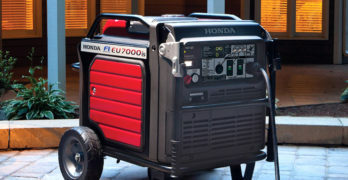 The Low Amp 120V Motor Is Quality – You will want the air compressor to work at all times, which is why the low amp 120V motor won’t let you down. It’s been designed to operate even if it’s very cold outside. You also won’t have any problems when it’s attached to an extension cord. While we’re talking about the top of the compressor, you’ll find the pump is oil-free. All the vital components are protected by a handle and console cover too. Available in different kit configurations. Something for everyone. Long-life oil-free, maintenance-free pump for convenient use. 150 max PSI 6.0 gallon tank (22.7 L) and 2.6 SCFM* delivered @ 90 PSI pump. High efficiency motor for easy start up in cold weather. 80 dBA operational noise level. High flow regulator and couplers. You’ll Get Lots Of Power And Speed – The Bostitch BTFP02012 has the same stats as the last model, which were 2.6 SCFM at 90 PSI. It will ensure your pancake compressor is capable of handling nearly everything you throw at it. This includes the tools you use and the speed you use them at. It has a maximum of 150 PSI and comes with a 6 gallon tank, so it’s going to have a long runtime before it will even need to think about topping up. Only Produces 78.5 Decibels Of Noise – Decibel levels are a lot more complicated than you think and don’t increase linearly. It means if a machine is 80 decibels it’s roughly twice as loud as one that is only 70 decibels. The reason this is important is because you might not think there is much difference in noise between this model and the last one we looked at. The Bostitch is somewhere in between a flushing toilet and an alarm clock. Weighs A Little Less Than 30 Pounds – This is slightly lighter than the C2002-WK because it only weighs 29 pounds. In the air compressor world it’s almost weightless, so it will never get in your way. You’ll be able to carry it everywhere with you without getting tired, whether you’re out on a worksite or moving it around your home. The ergonomic handle on the top of the compressor only adds to your comfort. A High Flow Regulator And Couplers – When using any kind of air compressor you want to be in control the entire time. The quality high flow regulator will let you adjust the pressure coming out through the hose at all times. It also has universal couplers to help you hook up the hose with ease. There are two of them on the pancake compressor, so you’ll be able to work with another person at the same time provided you’re using the right tools. It Has A Convenient Oil-Free Pump – Just like a lot of the best pancake compressors this one also has an oil-free pump for your convenience. You will spend zero time topping up the oil levels before you use it. The maintenance-free pump is also designed to last for a long time, which will mean you’ll save a lot of money. While we’re talking about convenience we should mention the rubber feet. They’ll bring down the noise levels and let the compressor work more smoothly. Relatively quiet at 75.5 dBA. 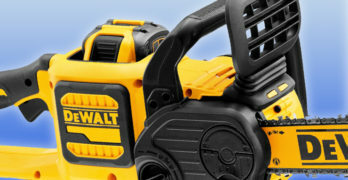 A Very Long Runtime And Quick Recovery – The DEWALT DWFP55126 is the biggest we’ve seen so far in terms of maximum PSI. It has the ability to reach around 165 PSI, which is a lot more than the previous models we’ve covered. It will give you 2.6 SCFM at 90 PSI, or if you drop down a touch it will give you 3.7 SCFM at 40 PSI. In the end, you’ll be left with a 6 gallon tank air compressor that will last a long time and charge up quickly. It Only Reaches A Max Of 75.5 Decibels – The decibel level of the best pancake compressors they only hit their maximum when charging up. When you’re actually using them intermittently to bang in nails they’re almost silent. That means you only have to put up with the noise occasionally, especially on models with long runtimes. This DEWALT has an extremely low max decibel level of 75.5, which is the same as a flushing toilet. 30 lb weight makes unit easy to carry and store. You’ll Be Able To Store It Away Easily – We’ve mentioned the size and weight of pancake compressors, but it’s always been in terms of portability. This models weighs 30 pounds and has a handle, so it’s certainly simple to move around. We’ve not focused much on the ease in which you’ll be able to store them away. The dimensions of the DEWALT DWFP55126 are 16 x 16 x 17.5 inches, plus it’s got a convenient cord wrap so nothing will be sticking out. Draining The Tank After You’re Finished – You’ll know by now the tank needs to be drained after you’re finished with it to extend its life. Unfortunately, it’s not always as easy as you think depending on which model you have. You will have no worries with this one because you’ll be able to use a ball drain valve, which has a few big advantages. Not only will it drain your tank quickly and effortlessly, but it will also do it thoroughly. The Controls Will Always Be Protected – Once you’re out on a worksite you never know what is going to happen. Even the best pancake compressor could fall over in certain conditions, which might damage its important parts. This DEWALT model comes with a console control cover to stop that from happening. Everything will be kept safe at all times. It’s also removable because you might need to get inside to carry out the odd repair. Beautifully designed, rugged construction and a great kit overall. You Get An 18 Gauge Brad Nail Gun – This model doesn’t just include one of the best pancake compressors on its own. It’s part of a combo kit, so it will come with a fantastic 18 gauge brad nail gun. It works out to be a great deal if you’re getting started and need a nailer. The Hitachi NT50AE2 brad nail gun is extremely lightweight and will feel balanced in your hand, which makes it easy to work with. The Compressor Is Fast And Powerful – The Hitachi EC710S pancake compressor is the most powerful one we’ve looked at yet. It sits slightly higher than the rest with a rating of 2.8 SCFM at 90 PSI, so it will be able to handle multiple tools easier. It still has a maximum of 150 PSI and a 6 gallon tank that offers you reliable performance. These figures are more than enough to give you sufficient runtime when you’re working and enough pressure for nearly any air tool. A Combo Kit That Focuses On Safety – When you’re working with air power you have to be extremely careful you don’t get hurt. The instruction manual you’ll get with every pancake compressor will give you great safety tips. This combo kit goes one step further by offering you safety equipment. You’ll get lubricant that should be applied to pneumatic tools so they work smoothly. A pair of safety glasses are also included and need to be worn all the time. You’ll Get A Rugged Hybrid Air Hose – To use any type of air tool effectively you need an amazing air hose. The one that comes with the Hitachi KNT50AB is 25 feet long and a quarter inch in diameter, but it has much more features. For example, it’s spiral reinforced to prevent it from getting damaged when you’re on busy worksites. It has heavy-duty bend restrictors and will be flexible even in the freezing cold, plus it will come with industrial fittings attached too. Metal Frame Will Protect The Controls – You might have noticed the weight of the pancake compressor is slightly heavier at roughly 36.5 pounds. This could be for a few different reasons, but will include the metal frame. If you look closely on the top of the compressor you won’t just see a handle. It has a metal frame built around it to offer maximum protection. Even though it’s a few pounds heavier it’s still light enough to move around freely by hand. Everything you need is included in this kit. Great buy! A Large Selection Of Different Nail Guns – If you really want to build up your nail gun collection while picking up one of the best pancake compressors this combo kit delivers. You’ll get three different kinds in the kit. It comes with a finishing nail gun, a brad nail gun, and a crown stapler. They’re perfect for various small jobs and you’ll only have a framing nailer to buy if you want to work on bigger projects. These nailers have a huge amount of features too. You Will Get High SCFM And PSI Figures – The figures are nothing out of the ordinary, but they’re still around average when compared to the models we’ve looked at today. The pancake air compressor has a maximum of 150 PSI. You will get 2.6 SCFM at 90 PSI, which is identical to almost all the rest on the list. This means when you’re working with your new pneumatic nail guns you’ll have plenty of power and a pretty good runtime. Although you can use a great pancake compressor when it’s not plugged in it still won’t last very long, but you’ll be fine if there is an outlet anywhere near you for a couple of reasons. The first one is the long air hose. Just like the Hitachi combo kit the air hose (with a coupler and plug) reaches up to 25 feet. 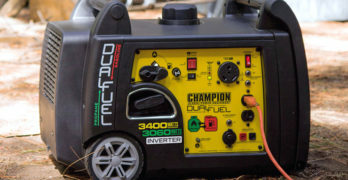 The 10 amp current on this particular compressor also lets you use a 16 gauge or heavier extension cord, which will work perfectly as long as it doesn’t exceed 50 feet. 78 Decibels Is Quiet Enough For Home Use – The decibel level of the PCFP12234 sits somewhere in the middle of the best pancake compressors we’ve looked at. It’s still quiet enough to use at home without annoying your neighbors. It’s a bit less than the noise level you’d hear at a busy road if you were standing 5 meters away, but I’m guessing your neighbors will be further away than that. Thankfully it has rubber feet to reduce the vibrations and lower the noise. It Comes With A Very Innovative Shroud – After everything we’ve spoken about today what are the most prized features you’d look for in the best pancake compressor? Most people would say longevity and portability. The innovative shroud PORTER-CABLE designed will take care of both. It will keep your compressor operational for a very long time, plus a sturdy handle never hurts. Even though you’ll be glad it’s there the total weight of the PCFP12234 is only 30 pounds anyway. If you want to learn more about pancake air compressors then you’ll be interested in this section of the article. First of all, you’ll want to know where pancake comes from. This type of air compressor has nothing to do with the delicious meal you cover in syrup. If you look closely at the bottom of the power tool you’ll notice the tank is shaped like a pancake with everything else usually sitting on top. To understand the basics of how it works imagine an inlet valve sucking in all the air. Once the air is trapped inside a piston will compress and push it into the tank. It’ll become pressurized and will now be ready to give you the air power you need when it’s released. You must be wondering why you would want the best pancake compressor when there are lots of suitable power tools available for any job. This is even more puzzling when new technology means we’re seeing things like powerful battery-operated tools released all the time. 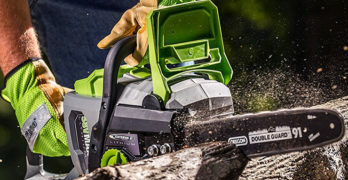 If you use a battery-powered tool you’ll need to contend with the battery all the time, which will definitely have an impact on the way you work. You’ll find it harder to fit into tight spaces and the battery will increase the weight of your chosen tool. Even if you’re using a basic electric tool with a cord it will still need a motor, but you don’t need to worry about that once you have the best pancake compressor. It will have a motor on the top and all your individual tools will have no need for one. Think about the difference between each kind of tool we’ve talked about so far. A pneumatic tool won’t need to have a motor or battery, so it’s going to work out cheaper. When all other things are equal an air-powered tool will always be less expensive. Obviously you’ll need to buy the pancake compressor to use with the tools, but they’re well worth the money if you have more than a couple of air tools. All the extra cash you’ll spend on a collection of non-pneumatic tools will cost much more than the best pancake compressor. Anyone with more than a couple of power tools will notice one of them always seems to be playing up. It’s a nuisance when you have to use them on a regular basis because you won’t be able to do your job. When they’re not broken you’ll need to ensure they stay that way. If you only have to worry about one pancake compressor it will help out tremendously. Remember, we’ve already said the compressor will hold the motor. It’s the main thing that will fail first on a power tool, so maintenance will be less of an issue. In some ways new technology is catching up in the power tool world. Manufacturers are even claiming battery-powered tools can compete with gas-powered ones. It might be true in some cases, but they’ll always have their limits due to how they’re powered. Pneumatic tools have the advantage over cordless tools. It does depend on which type of tool you’re using and how fast you are working. When we discuss the best pancake compressor features to look out for we’ll go more in-depth into their power and why it’s the best. Obviously this doesn’t apply if you’re using a battery-powered tool, but it definitely applies if you are using an electric one. Without access to an outlet you won’t be able to do anything, which isn’t the case when you’re using a pancake compressor. You will have to plug in your compressor to fill it with air, but it has the ability to hold it inside the tank so you can move it around. Just be aware, it’s going to dwindle down like a battery and you’ll need a tank that doesn’t let all the compressed air escape. Please Note: These are only a selection of the pneumatic tools you can use to give you an idea of what is available. You’ll be able to find a lot more that will come in very handy on the job. Nail guns are the number one tool people will need the best pancake compressor for because they’re so effective at their job. You get to knock long nails or staples into all types of wood in an instant. There are also a variety of different nail guns available. The type you’ll use will depend on the kind of project you’re working on, which could range from large to small. Most nail guns will let you choose how far you want nails to go in, but you could also set the depth of drive by adjusting your air compressor. Most types of drill you use will take a while for the bits to make their way through the wood, but when you use a pneumatic drill you’ll have your hole in a second. This means there is much less chance of the drill bit overheating compared to when you’re using an electric model. The speed you can drive through the wood also gives you a more accurate hole, because there is less time to go off course. Just make sure everything is lined up correctly to begin with. Your drill will be able to tackle wood, metal, and various other materials you’ll likely use. The nail gun is the kind of tool you would use to replace a hammer knocking in nails, but the air hammer constantly pounds on something at high speed. The job you would use it for depends on the attachment and you have a variety of them to choose from. You’ll be able to carve metal and stone with ease, which anyone into crafting will love. When it comes to separating shock absorbers and ball joints, cutting through exhaust pipes, splitting bushing, and many other jobs the air hammer simply can’t be beaten. Metal is the one material you would assume air power would find hard to tackle because it’s so tough. When you have an angle grinder you’ll be able to do more than drill simple holes through it. It’s a tool you must have if you’re going to do any metalwork. It will allow you to do basic things like trim off edges, or if you need to do more advanced work you can cut shapes into metal sheets. You will need the very best pancake compressor when using this tool because of the SCFM required, which we’ll touch on in a few minutes. 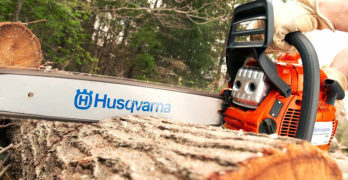 There are a few different options available when you want to cut wood, but they’re not exactly cheap. If you want a really good table saw you’ll have to spend a big chunk of change. You don’t need to bother when you have an extremely portable pneumatic speed saw. Think of it like a normal saw minus the effort you’ll need to put in every day. Moving your arm back and forth is hard work even for the toughest of us. A speed saw will do everything for you, plus because it’s so fast your cuts will be a lot more precise. The pneumatic impact wrench is a fantastic tool for a couple of different reasons. The first one is when you screw your nuts on, which can take a lot of time even if you use a superb manual wrench. This is actually nowhere near the most beneficial reason to use the tool. You’ll know it’s a hundred times tougher to get the nuts off if they’ve been on for any considerable length of time. Years worth of heat and moisture make a nut and bolt almost inseparable, yet with your air-powered impact wrench it can undo all that bonding within seconds. Please Note: So far we’ve concentrated on DIYers and workmen, but the best pancake compressor can be used for a multitude of different things around your home. You can keep your car tires inflated, blow up pool toys for the kids, or anything else where you’ll need air pressure. What’s the Best Pancake Compressor? The time has finally come and you should have made up your mind. Do you have any idea which of the pancake compressors is your favorite? If you need help click on the links and read a lot of unbiased reviews from happy customers on Amazon. It’s one of those power tools you’ll always regret not buying earlier. They’re so beneficial no matter what kind of things you use it for. It’s hard to go back to normal tools again once you start using pneumatic ones.